Univision host Enrique Acevedo chalked anti-caravan protesters in Tijuana, Mexico, up to “racism,” which he said, “flows freely across borders.” He didn’t have a straight answer for Tucker Carlson when the Fox News host pointed out on his show Monday night that they were all the same race. 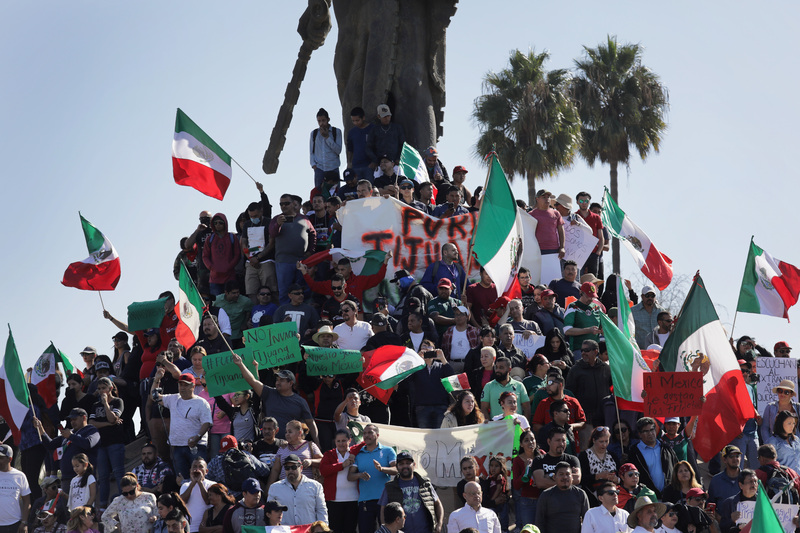 Hundreds of protesters took to the streets in Tijuana to protest on Monday. Demonstrators held signs that read “No illegals,” “No to the invasion” and “Mexico First,” according to NPR. “Well, we are not a monolithic community, Tucker. We have people from Central America, from Venezuela, from Colombia, different backgrounds, different ethnicities. Racism exists in Mexico toward Central Americans. It’s not new,” Acevedo continued. “But I’m not quite sure how it’s racism if they appear to be of the same race. But moreover, they said, and I think I said quoting one of the protesters, it’s not about racism. This is almost exactly what he said. ‘We want our government to enforce our borders,’ which is what a lot of people including me say frequently in the United States,” Carlson concluded.